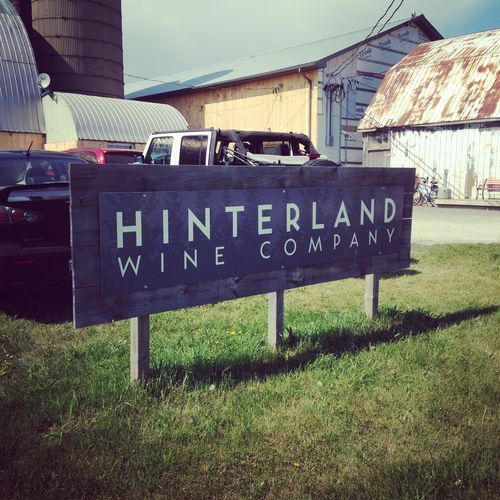 For our camping trip we did only plan two vineyard visits, because a a family trip can’t only be done to satisfy one’s passion. But a bottle of Whitecap, a Charmat (bubbly wine made the same way as Italian Prossecco) from the recent 2015 vintage coming directly from the vineyard and brought by a friend, bottle that we had the first night by the fire. 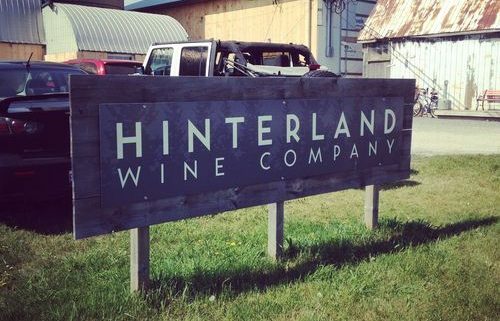 That bottle went down so fast without being able to explain why, that a visit at Hinterland became a necessity… to buy more of that wine! 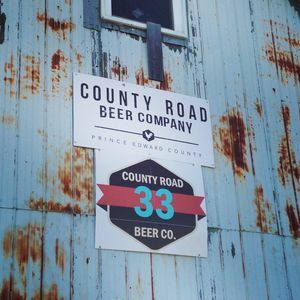 With my friend suggestions and recommandations in hands, we met Jonas Newman and his wife, both owners and founders of the winery and the Brewery located just aside, County Road Beer. Both were smiling, welcoming and clearly passionnate about what they do (one just have to listen to them or to see Vicky passing by, stopping when she sees what we were having, pouring herself a glass, then going back to where she was heading to…) to fully understand! First, the 2015 Borealis, a pink Charmat, then the Ancestral, a traditionnal method wine, pink also, both having red berry notes, very fresh. I liked the last one just a touch more than the other. Then Les Étoiles 2009 (so lucky am I to have some in the cellar!) 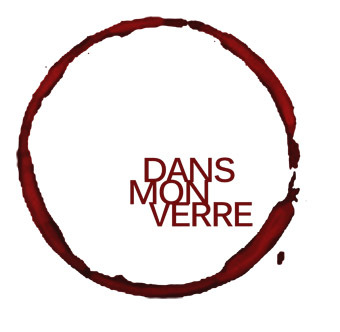 and the 2012, blends of Pinot Noir and Chardonnay, aged up to 26 months before being disgorged, deep and complex, creamy mouth feel, the 2009 being even better due to the additionnal age of the wine, adding more complex notes and finesse. From the products to be release, we tasted the 2011 Sacrement, clearly the best wine we had there, close to a Champagne. So complex, round, charming and was drinking very well. The minute it’s released, I’ll jump on it. 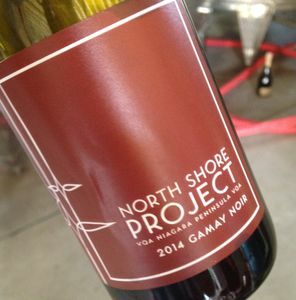 Then the sparkling cider with an unbelievable nose and perfeclty refreshing, a Gamay from bought grapes from Niagara (there is a whole story about this one…) and a fuly concentrated but typical Syrah wine. 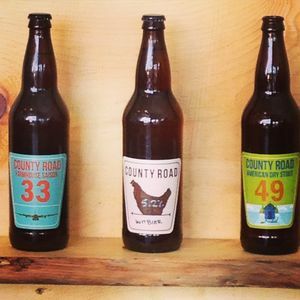 When we asked if we could also buy beers from County Road Beer, we ended up with a “no” ! We had to taste first! We did then take to time to taste the range they are offering to make better chioces based on our taste. We ended up buying 3 differents beers! 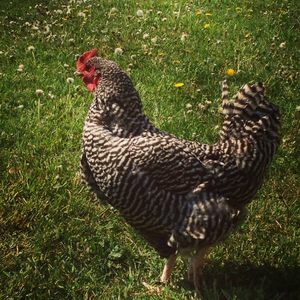 Our kids liked the plae as we did, for the open spaces behind the winery buildings where they were able to run and play, with chicken all around! Our tasting was then just more smooth and pleasant. A new beer garden is also opening pretty soon for the complimentary lunch!